Brian D. Joseph (Ph.D., Harvard University, 1978, Linguistics; A.M., Harvard University, 1976, Linguistics; A.B., Yale University, 1973, Linguistics) is Distinguished University Professor of Linguistics, and The Kenneth E. Naylor Professor of South Slavic Linguistics at The Ohio State University. He has been a professor at The Ohio State University for 35 years, teaching in the Department of Linguistics and since 1997 also in the Department of Slavic and East European Languages and Literatures. He served as department chair, of Linguistics, for 10 years, from 1987-1997, and has played a role in numerous other aspects of department and University administration. 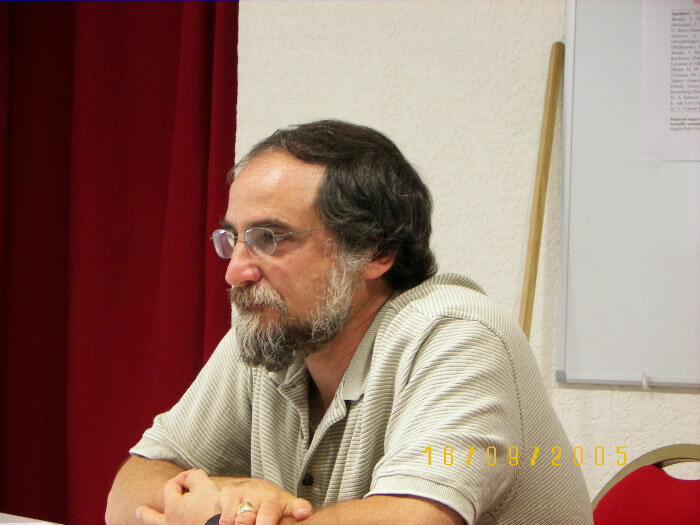 His scholarly interests run to arcane areas such as the history of the Greek language (Ancient through Modern) and the relation of Greek to its genealogical and geographical neighbors, and more generally to the study of language change and how language is embedded in larger social structures. He has held various visiting appointments around the world, and has received several grants from major funding agencies, such as the National Endowment for the Humanities. His principal scholarly activities include over 400 professional presentations since 1975, at local, national, and international conferences, either by invitation or by acceptance of an abstract on a competitive basis, and at numerous linguistics programs in the US and abroad as an invited speaker (including 20 plenary address invitations in the past decade), and the publication of 5 books as author or co-author, and 15 more as editor or co-editor. In addition, he has published over 200 papers, some in conference proceedings and some by invitation as contributions to books, but most as articles in refereed journals, and over 100 reviews and other miscellaneous professional writings. He has five major book projects in progress, to be completed over the next few years.